If you own land in New South Wales, then you pay more NSW land tax, under section 3A under a ‘normal’ Trust. Your NSW Unit Trust is a ‘fixed’ trust under Land Tax Management Act 1956 (NSW). Build this ‘fixed trust’ to reduce NSW land tax. This document has less discretion than our standard Trust. However, it gives you concessional NSW land tax entitlements. In all States of Australia (except for NSW), there is a threshold before NSW land tax is payable for land held in Trusts. In NSW, there is no tax-free threshold for taxable land in a Trust unless it is in a ‘fixed unit trust’ and complies with section 3A. Find up-to-date information on thresholds by clicking here. If you own land in NSW that is in a fixed trust complying with section 3A you only pay tax on the amount over the threshold. For example, if you have a $300,000 property in your Trust then in all States you don’t pay NSW land tax because it is under the threshold. However, you do pay NSW land tax on a $300,000 property – if you are in a non-NSW Unit Trust. However, if you are in a section 3A “fixed” NSW Unit Trust then this property is under the NSW threshold for land tax, then it is not payable. For example, if the threshold is $400,000 and your property is worth $500,000 you pay land tax on $100,000. In contrast, you pay land tax on the full amount – $500,000 – because you did not have a Legal Consolidated Barristers & Solicitors fixed trust that complied with NSW legislation. What is an NSW Unit Trust? An NSW Unit Trust apportions trust assets according to ‘units’. As a Unit Holder, you get beneficial ownership of trust property according to the number of units you own. For example, if I had 50 units and my business partner had 150 units, I own ¼ of the NSW Unit Trust, and my business partner owns ¾. An NSW Unit Trust is a cross between a Family Discretionary Trust and a company. In a Family Discretionary Trust, the Trustee holds the assets for the Beneficiary. So to the NSW Unit Trusts’ Trustee holds the assets for the Unit Holders. Does a Family Trust holding units in the fixed NSW Unit Trust also get the exemption? The fixed NSW Unit Trust you are building complies with the NSW land tax rules. However, there is a second test. Each Unit Holder must also pass the test of being ‘fixed’. It is possible for an NSW Unit Holder to fail the test as to the Units they hold. There are two tests: one for the NSW Unit Trust itself, and another test for the Unit Holder. For example, while the NSW Unit Trust is fixed and complies with the NSW land tax rules, any Unit Holder that is a Family Trust fails the test. A Family Trust by its very nature is not ‘fixed’. 1. Humans and companies generally pass the test of being ‘fixed’ if they hold the Units in the NSW Unit Trust for themselves. 3. 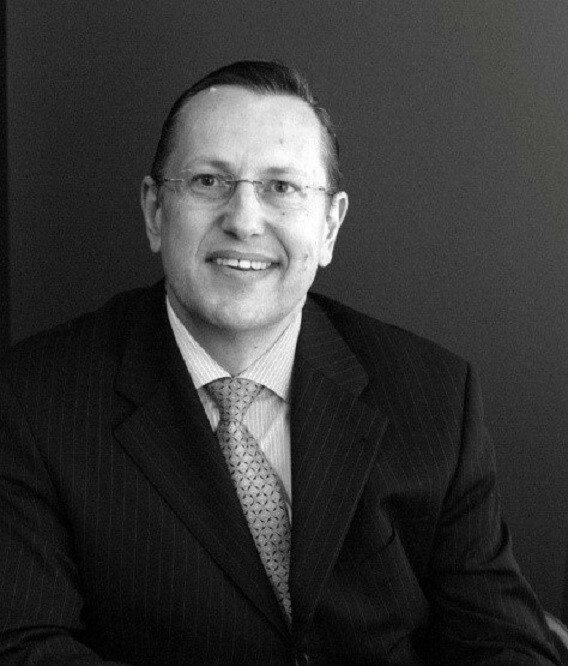 However, a Family Trust holding units in the fixed NSW Unit Trust fails the test. So a human as trustee for a Family Trust fails the test. And similarly, a company holding the Units as trustee of a Family Trust fails the test. An NSW Unit Trust is similar to a company. An NSW Unit Trust has Unit Holders like a company has shareholders. Unit Holders hold units in an NSW Unit Trust like shareholders hold shares in a company. Units are capable of fluctuating in value, like shares. The High Court of Australia has said that an NSW Unit Trusts can be better than companies (Charles v Federal Commissioner of Taxation (1954) 90 CLR 598). This is because, in a company, a shareholder has no interest in company assets. In contrast, a Unit Holder has a proprietary interest in the trust assets. NSW Unit Trusts have a distinct tax advantage over companies. A company earns a profit and pays tax on that profit. Only the after-tax dollars are distributed to the shareholders. In contrast, Unit Holders in an NSW Unit Trust pay the tax. The Trust does not pay tax itself. The advantage of a company is that you can retain the income and not distribute to the shareholders. NSW Unit Trusts and Family Trusts do different things. NSW Unit Trusts have ‘negotiability’: you can sell and buy units, and fixed annual entitlements to income and capital gains. The Unit Holders of NSW Unit Trusts get 100% of their entitlement. The trustee has no discretion to vary your entitlement. In contrast, Family Trusts are discretionary. This means that there are no fixed entitlements for the children. Mum and Dad (as the Appointors) direct the Trustee of the Family Trust to distribute income. This is generally to the lowest income earners in the family for the purposes of reducing tax. A fixed NSW unit trust is not a substitute for a Family Trust. Family Trusts work for one family. NSW Unit Trusts are appropriate for two or more families – joint ventures, businesses or partnerships in the managing of assets. Instead, if you control assets in a single family, consider building one of our comprehensive Family Trust Deeds. Why fixed NSW unit trust from Legal Consolidated Barristers and Solicitors? Recently, we reviewed a number of NSW Unit Trusts in insolvency situations relating to a property development. The Unit Holders were liable to pay for the shortfall of assets on the NSW Unit Trust going broke. The NSW Unit Deeds were not prepared by lawyers. In 1985, Justice McGarvie in Broomhead Pty Ltd (in Liquidation) v Broomhead Pty Ltd (1985) VR 891 stated that unit holders in an NSW Unit Trust are liable to indemnify the trustees of an NSW Unit Trust for any liabilities incurred throughout the conduct of business. This rule does not apply if the right to indemnity has been expressly revoked from the NSW Unit Trust deed. Our trust deed protects unit holders from liability incurred by trustees. NSW Unit Trusts are made to benefit the unit holders. For help building the fixed NSW unit trust telephone us. We can help you answer the questions.